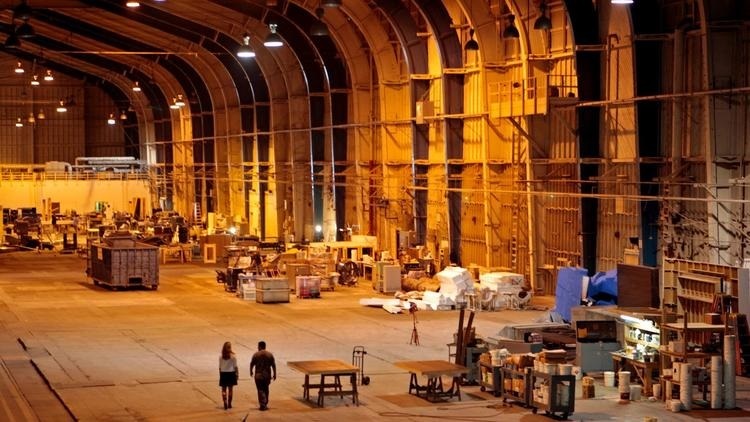 Japanese investors have bought the landmark hangar in Playa Vista, now leased by Google, where mogul Howard Hughes built his Spruce Goose aircraft in the 1940s. Los Angeles developer Ratkovich Co. and its financial partner Penwood Real Estate Investment Management sold the four-building Hercules Campus West that includes the voluminous hangar and three smaller buildings, real estate services firm Holliday Fenoglio Fowler said. The identity of the buyer was not disclosed, but according to a Westside real estate expert familiar with the transaction but not authorized to speak about it publicly, Japanese corporate investor ASO Group paid more than $300 million for the property. The four buildings are fully leased to Google, whose parent company is Mountain View, Calif.-based tech giant Alphabet Inc. Google’s commitment to rent the buildings for the next 16 years made them a secure investment, according to marketing materials for the property sale. Hercules Campus West offered “a rare opportunity to replicate a 16-year Google bond that is not available in the market today,” the marketing memorandum said. The hangar will be the centerpiece of Google’s Southern California campus. Inside the cavernous seven-story-tall hangar, Google plans to build structures containing nearly 525,000 square feet in three stories and a mezzanine floor. Google bought 12 acres directly north of the hangar for $120 million in 2014 and rents other buildings on the former Hughes campus that were not part of the recent sale. Google has the right to buy the Spruce Goose complex when its lease expires. Hughes set out during World War II to build a seaplane capable of carrying 750 soldiers nonstop from Honolulu to Tokyo. He couldn't use materials considered crucial to the war effort, such as aluminum. He decided to use wood and settled on birch, which made the popular nickname “Spruce Goose” irksome to him. The plane, officially named Hercules, had a 320-foot wingspan, weighed 200 tons and flew just once — for about one minute in 1947. Ratkovich and Penwood bought the 11-building, 28-acre former Hughes campus for $32.4 million in 2010 and announced it would spend an additional $50 million to turn it into offices for tenants in creative fields.